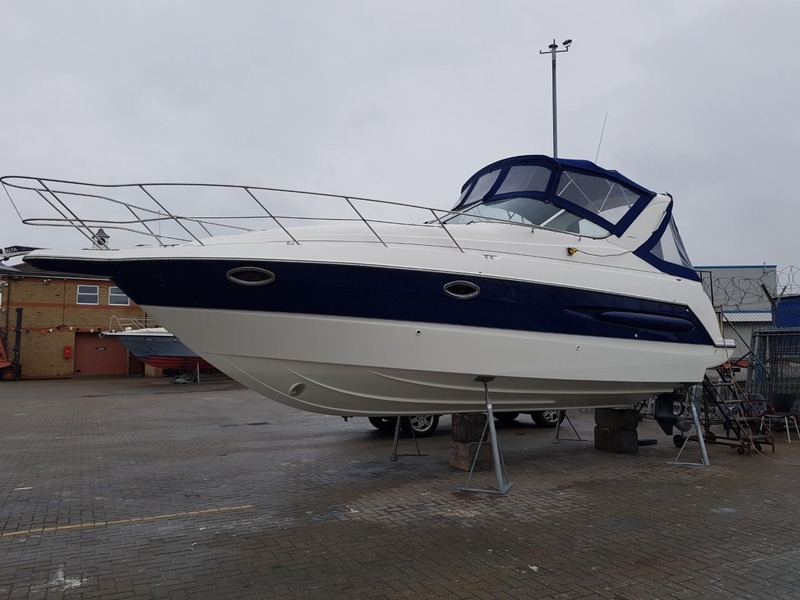 FOR SALE 2005 Maxum 2900 SE motor cruiser, excellent condition throughout, very spacious boat for its size, maintained with no expense spared! in the past 18 months its had the following upgrades: -Bowthruster -Synthetic teak decking -new canopy cover -new cockpit upholstery -gas hob -simrad chart plotter -bluetooth stereo -stainless safety door and name the above works alone amount to over £15000! The boat has been out of the water for the past month having the fresh bottom with 5 coats of gelshield and two coats of white antifowling. outdrives were removed, cleaned, serviced, antifowled and refitted. (pictures available). Inside there are two good sized double beds and the dining area turns into a small childs bed if needed, the toilet is vacuum operated with holding tank and macerater built in. flat screen tv with dvd player built in, usual galley fittings including fridge, microwave, sink etc... 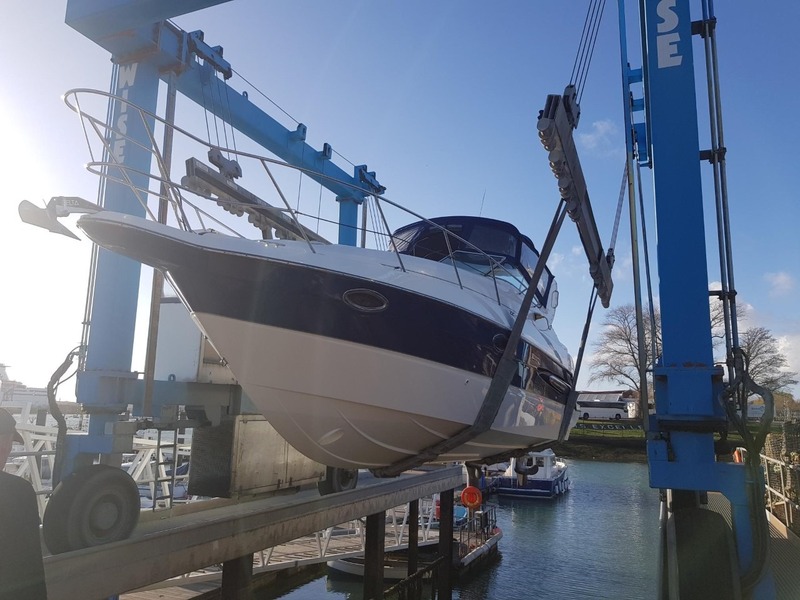 The boat is now back in the water at Port Solent, we stay on the boat frequently, its nice and warm inside with a oil heater, the engines also have a heater in place for the winter months. just had new alternator and jabsco impellers fitted and will be servicing both engines before completion of sale, both engines have only covered just over 100 hours from new! they are 4.3 litre V6 Mercruiser fuel injected engines, much safer than the old style carburettors and start first time every time. the boat cruises at around 22 - 25 knots depending on how clean the bottom is, and top speed is a claimed 40 knots however we have never been flat out (not found it necessary). Boat is small ships registered which is transferable upon sale. Viewings are welcome any time, please call me on 07794358206. You wont find another with this amount of extras for the money! Bank transfer or cash accepted, may consider part exchange bigger or smaller boat. please note this is a private sale(my own boat).